This entry was posted on October 16, 2018 by Marketing. First, the good news for house flipping: Average gross profits have risen steadily over the last few years. As the 2018 house flipping report from research firm ATTOM Data Solutions shows, completed house flips in 2017 yielded an average gross profit of $68,143, representing a 49.8% return on investment. Gross profit is defined here as the difference between purchase price and flip price, not accounting for expenses incurred. In fact, the 2017 gross profit number was up 5% from the previous year’s $64,900 and represents a new all-time high. The housing market’s steady rise in prices recently —which has contributed to strong house flipping profits—cannot continue forever. As a recent CNBC story points out, US house prices are rising at twice the speed of inflation and wages. Most analysts forecast this trend to continue for another year or so—but then expect increase in home prices will begin to slow down for the next several years. 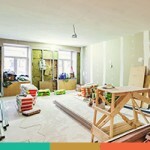 The question is: how should this affect your expectations as a house flipping investor? Does a Slowdown in Housing Mean Less Profits as a House Flipper? It would be impossible, of course, to state definitively what a potential cooling-off period in the housing market will mean for the average return on a house flipping investment. MarketWatch recently reported, the current data gives us two reasons to remain optimistic about the future. If you are a house flipper or are interested in becoming one, the potential to earn strong returns on these investments, even if the housing market does slow down, remains. As Freddy Mac’s Sam Khater explained, housing downturns are usually caused by an over-supply of housing stock. That is not the case we are seeing; in fact, nationwide we have been experiencing an extensive contraction in the housing supply. Although it is logical to assume that eventually housing price increases will slow down nationally, the data does not indicate that you should expect a rapid, steep drop in prices in the foreseeable future. Which means you might want to account for this shift and manage your expectations of record-breaking returns on your house flips going forward. Depending on your strategy and investment selections, we feel confident about the potential for healthy returns on these investments. When you’re ready to invest in a fix-and-flip property, there is a strong case for seeking financing from a private money lender, specifically one that is also a direct lender. Because of less regulatory constraints relative to their traditional bank or mortgage counterparts, private money lenders can move much more quickly to get your house flip project funded. This will save you time and the hassles of a typical loan application. With their own capital to lend, a direct lender can green-light your house flip in a matter of days. We all know that time is a major factor when purchasing investment property. Want to learn how to get your house flip loan funded in as little as seven days? Connect with the team here at Patch of Land. We look forward to working with you on your next project. This entry was posted in All Projects, Building Wealth and tagged private money lender, House flipping on October 16, 2018 by Marketing.